Place in a large bowl the strawberries and sprinkle with sugar. Stir and let it rest covered in the refrigerator until ready to eat. Meanwhile in a large bowl or the bowl of a KitchenAid with the whisk attachment, add the heavy cream, powder sugar and vanilla. Whisk until soft peaks form. 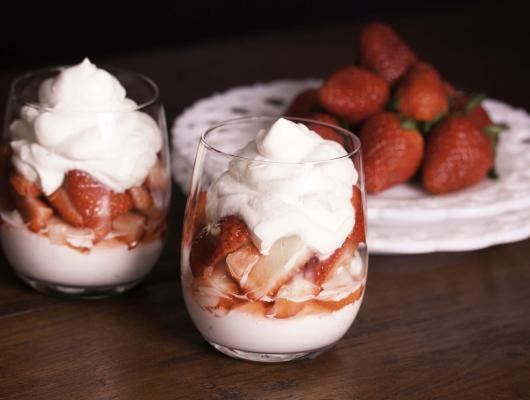 In a large glass place couple of tablespoons of Chantilly, a layer of strawberries, a layer of Chantilly. Spring is in the air. The new flowers buds are starting to peek thru. The birds are chirping their presence. With Spring comes the abundance of fresh fruits and vegetables. Our farmers market stalls are overflowing with all sorts of goodies. A true feast for the eyes and your palate. A wonderful place to have fun creating. While strolling I gravitated towards the most perfect, plump and rich in color, strawberries. Took a bite and it was love. Of course I had to buy a few baskets. Could not wait to get home and share them with everyone. One of my favorite way to enjoy them, is the recipe I am sharing with all of you today. 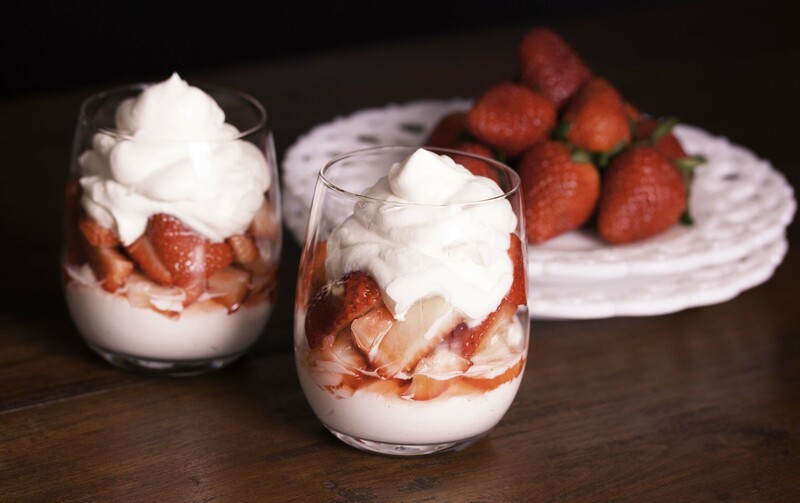 Deliciously sinful layers of chantilly and strawberries. All the flavors are enhancing each other well, and each bite is just full of flavor. I love the flavor of the strawberries with a bit of sugar, however try them both way, with and without sugar, and see which one you like best. The same goes for the vanilla. Great dessert for any occasions and I can tell you will make it over and over.